[NEWS] Looking for testers, moderators, and more! Were looking for anyone interested in being apart of the Online Zoo Builder testing/moderator (If you like) team! We need help figuring out how to make the game more immersible, interesting, and strategic to play! I really need help and I thought I would ask my fellow city building loving gamers! Anyone is welcome, regardless of age or experience in gaming. When the game is complete you will be eligible to be a game moderator and beta tester of all the features to come to the game as we progress. Were looking for any kind of help, moderator, tester, artist, programmer, or anything that falls between! If your interested in working on a city building game, please e-mail me [matt@drennansoftware.com] or respond to this post with your support! We will communicate on the Online Zoo Builder Forum as we work on the game. I look forward to hearing from your all! Put this in your forum sig to support the game! -Clean entire park and mow entire park for price option. If your park gets messy, instead of playing minigames you can pay upwards of $75,000 to fix your zoo up. -When an animal is hungry, they will become enraged and attempt to escape your zoo. If they succeed at escaping their enclosure they must be terminated by the player. When they are hungry no new guests will visit your zoo and your park rating will be reduced to 1. -Rating system was too hard to improve the park, we fixed the system so the player can easily gain more than 1 star, but harder to gain 5 stars. -Fences array is now dynamic (Determines how many animals reside in a given fence or object), filling in game data on the fly, instead of loading from database. Loading data from the database was inefficient and buggy. DANGER! Animals can now escape their enclosures! When an animal in your zoo gets hungry, it will go into rage and attempt to escape its enclosure. 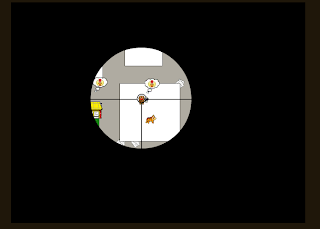 When the animal escapes, the player will be alerted to the danger and will have to take down the animal with a sniper rifle. We are still working on this feature and trying to balance it with the rest of the game, but while we do that, why not give it a try? Just wait for one of your animals to get hungry and break out! -Fixed the level bar, which after leveling up, did not reset. -Fixed a critical bug, which allowed animals to walk out of their enclosures. -Enhanced the mute feature, so it will now mute all sounds, instead of just the background music. -Made all objects in the game, level dependent.